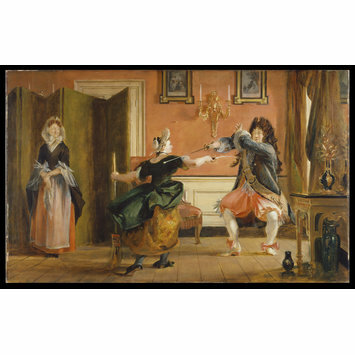 The scene comes from Molière's satirical comedy The Bourgeois Gentleman, which was first performed in 1670. Monsieur Jourdain wishes to be thought of as a gentleman. 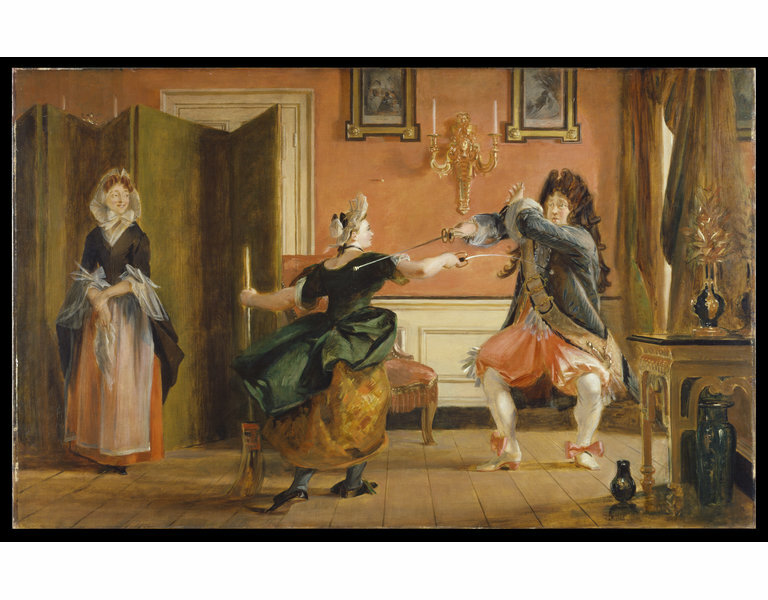 In demonstrating his new fencing skills to his maidservant Nicole, he is embarrassed to be struck several times by her foil. His wife looks on in amusement. Leslie was brought up in the United States, but worked in London. He was a friend and biographer of the landscape painter John Constable. 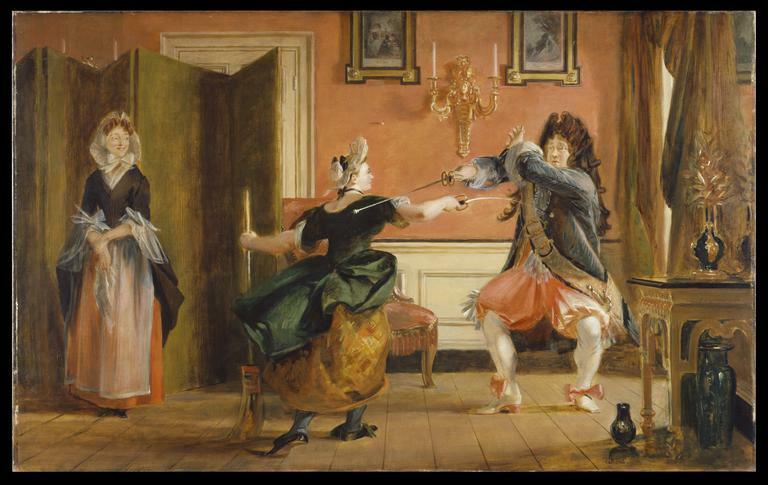 Oil painting depicting characters fencing from Moliere's 'Le Bourgeois Gentilhomme', (Act III, Scene 3). Oil painting by Charles Robert Leslie entitled 'Le Bourgeois Gentilhomme' (Moliere, 'Le Bourgeois Gentilhomme' Act III, Scene 3). Great Britain, 1841.